Even if you are only a casual observer of the news, you are probably well aware of the score of actors who have been accused of sexual harassment and/or assault. Kevin Spacey is probably the most famous example, at least as of the writing of this post. Spacey was fired by Netflix shortly after the Oscar-winning actor faced a series of allegations. The actor made it worse with an apology that (justifiably) angered many in the LGBTQ community. Spacey is far from the only actor who has been met with allegations, however. Dustin Hoffman, Richard Dreyfuss, George Takei, and more have had to answer for similarly troubling accusations in recent weeks. But while the actors have been drawing a large share of the attention, it’s important to note that *all* of Hollywood is crumbling right before our eyes. Talent agents, producers, and directors have also been met with serious allegations in the wake of the #MeToo campaign that dominated social media last month. Sadly, this is also true of some showrunners who were responsible for some of the biggest hit shows in the modern era. These men don’t get the same amount of attention, mostly because they aren’t celebrities in the same way that people like Louis C.K. and Kevin Spacey are. Nevertheless, it is important to point out these men and excoriate them for their actions. These are people who wielded their great power highly inappropriately. If Hollywood is ever going to change, awareness is crucial. Here are some of the showrunners who have serious accusations to answer for. You’ve probably noticed that The CW has recently added a slew of superhero shows to its programming. Think The Flash, Supergirl, and Arrow. This transition is in no small part due to Andrew Kreisberg, who is listed as a creator on every single one of the aforementioned shows, and more. To say that Kreisberg wields an inordinate amount of power at the network would have been true just a few days ago. However, the veteran writer has found himself in a world of trouble. Variety published a story with 19 sources accusing the showrunner of a long history of sexual harassment and abuse of power. The allegations point to unwelcome touching, asking female staffers for massages, and sexually-charged remarks directed to women on set. 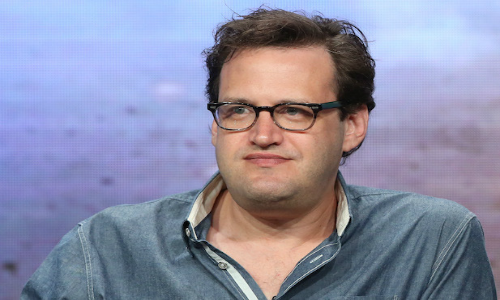 Kreisberg has denied the claims, but a number of actors on his shows dispute his denial. Melissa Benoist, the supergirl of “Supergirl,” issued a statement that did not reference Kreisberg specifically, but certainly indicated her outrage about the working conditions for women on-set. The writers of Legends of Tomorrow, another show Kreisberg supervised, came out in support of the victims in a written statement. The CW reacted to the allegations by suspending Kreisberg, pending an investigation. Kreisberg probably made the investigation a little bit easier for the network, by issuing a questionable denial, saying that any remarks he made any female’s appearance was in his capacity as a producer, and were not intended to be sexual. Despite what the title and the original marketing might suggest, Mad Men is not just a show about/for men. In fact, the show earned praise over-and-over for its complicated and thoroughly rounded female characters. Through the course of seven seasons, the show regularly addressed workplace sexual harassment and vestigial patriarchal norms. And the show was known for having more women writers attached than the average show. 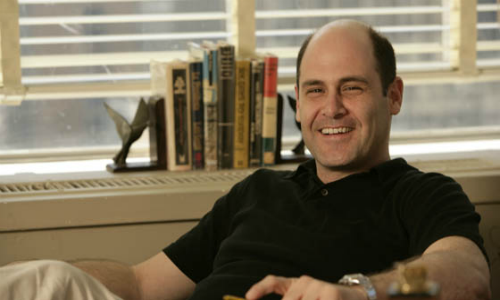 So when you consider all of this, when reports emerged that the show’s creator Matthew Weiner was being accused of sexual harassment by a former writer, fans were stunned. In an interview with The Information, writer Kater Gordon accused her former boss of making a highly inappropriate request to see her naked during a private meeting. According to Gordon, Weiner tried to pass the request off as a “joke.” The joke was not funny anymore, when Gordon was fired soon after. Gordon’s firing was publicized at the time. Entertainment bloggers were curious as to why a writer who *just* won an Emmy was being let go. Year later, the world may have finally found its answer. Weiner is currently on a tour promoting his first novel. In a statement issued by his spokesperson, the allegation was denied, saying that Weiner does not recall such a comment, and that he would never make such a comment. No one else associated with the show has said anything to this point. One Tree Hill is one of the most successful teen soaps of the last 25 years. It’s arguable that a show like Gossip Girl wouldn’t exist without “Hill. Both shows ended in 2012, yet both of them are back in the news… for the wrong reasons. “Gossip Girl” star Ed Westwick has been accused by three different women of sexual assault. That’s obviously bad enough. The former showrunner for “One Tree Hill,” however, is currently being accused by 18 different people. That showrunner is Mark Schwahn. The flood of allegations started when Audrey Wauchope, a former writer on the show, tweeted about several incidents that implicated Schwahn as at the very least a serial harasser. The incidents included non-consensual touching and massages. After that, former cast and crew members issued a joint statement, saying that they were standing with Wauchope. Not only were they standing with Wauchope; they were making a series of new allegations. According to the statement, Schwahn’s predatory behavior was an open secret, and that some people who worked on the show were threatened for wanting to expose Schwahn during the show’s run. Former male cast members of the show took to Twitter to express their support for the women, insinuating and corroborating their statement. 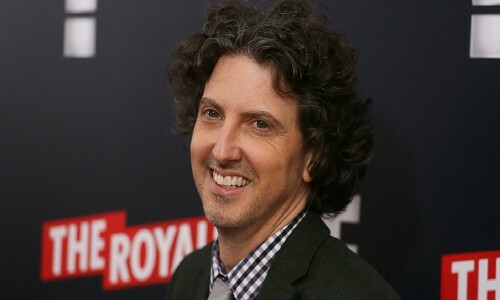 As for Schwahn, he has been suspended by E!, for whom he was producing the show The Royals. As of the writing of this post, Schwahn has not made any kind of public statement.